Well-known Odissi dancer Ileana Citaristi’s third book My Journey: A Tale of Two Births is an autobiography and memoir which tells the story of her coming of age during the student movement in Europe, her artistic journey which led her to India, and chronicles her experiences and achievements as a dancer, performer, choreographer and author. The subtitle alludes to Citaristi’s life before and after her arrival in Cuttack, Orissa in June 1979 to study Odissi under the renowned guru Kelucharan Mohapatra, a trip which was supposed to last only a few months. She considers this to be her ‘second birth’, while her ‘first birth’ happened twenty-seven years earlier in Bergamo, a provincial town in the foothills of the Italian Alps. In this absorbing memoir which is a factual chronicle of her life story but also reads like a travelogue, she tells how her identity was forged during the student protests sweeping Europe in the late 1960s, a time when she rebelled against conservative society, her Catholic upbringing and her authoritarian father. She joins a theatre group after finishing school and explores different aspects of physical theatre. At the same time she’s drawn to Eastern philosophy, earning a doctorate degree from the University of Venice. Her interest in the East and her experiments in theatre and a search for a ‘complete body movement vocabulary’ inevitably take her to India. After a first exploratory overland trip, she returns a few years later for an intensive workshop in Kathakali in Kerala and travels to Bhubaneswar, Orissa where she takes her first lessons in Odissi from renowned dancer Sanjukta Panigrahi. 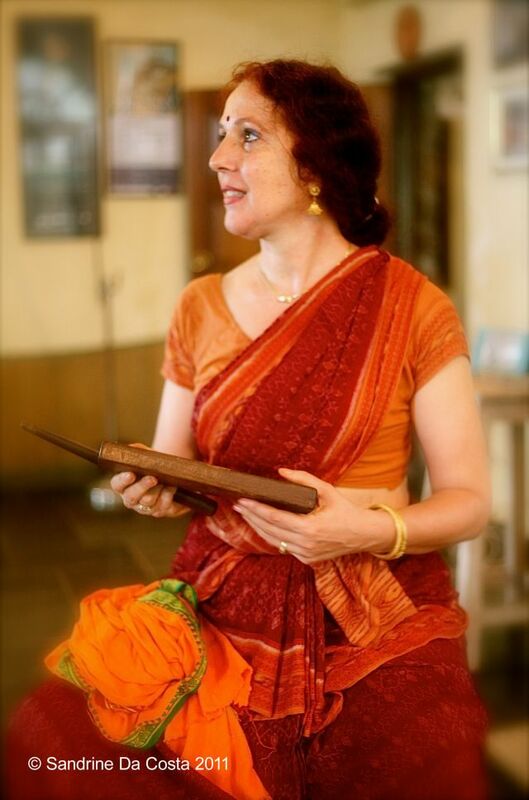 Her third departure for India in 1979 becomes her last one: she eventually makes Orissa her home, studying with guru Kelucharan Mohapatra until his death in 2004, and in the meantime making a name for herself as a performer and choreographer of Odissi and Chhau (which she studies under guru Sri Hari Nayak), establishing her own dance institution in Bhubaneswar, and eventually being conferred the prestigious Padma Shri award by the Indian government in recognition of her contribution to Odissi. In the book, Citaristi reveals the challenges of being a foreign student of Indian dance, attracting at first the support but also antagonism of other dancers, and experiencing heated opposition to her very first innovative works in a staunchly classical milieu. She also shares many amusing anecdotes about the inevitable clashes she experiences between the two cultural worlds she occupies. Having rejected authority and asserted her feminist and egalitarian ideals during her student days, in India she finds herself submitting herself to the demands of a traditional dance form and guru. She tells the humorous story of how her guru left the room the first time she stood before him with her “mass of unruly curly hair”, long rainbow-coloured skirt and sleeveless t-shirt. She took a hint from a fellow student to “cover herself more” and appeared for dance class the next day in what she thought was an appropriate kurta, only to have her teacher take her aside and mumble the word ‘bra’. Finding herself far, far away from her bra-burning feminist days, she urgently telegrammed her mother to send her all her bikini tops without delay! 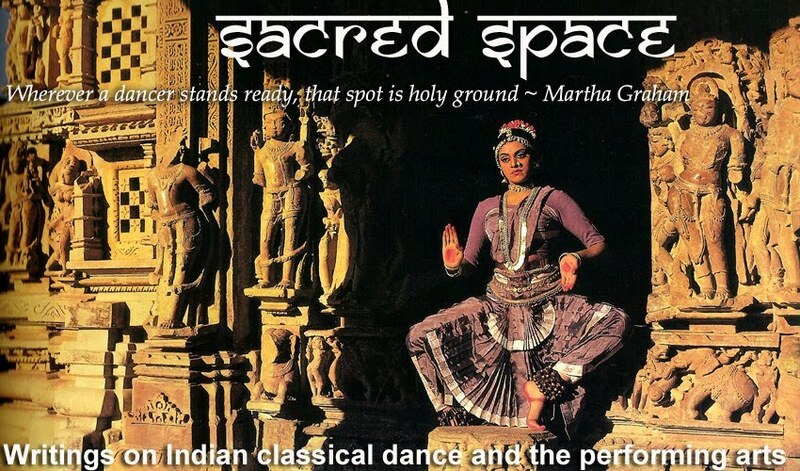 This memoir is of obvious interest to students of Indian classical dance and readers who enjoy reading about cross-cultural experiences and travelogues related to India. 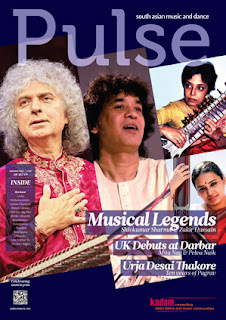 It is also an important chronicle of the author’s experiences learning under one of India’s most renowned dance gurus. Considering the author is a non-native English speaker, the book would have benefited from more careful editing. Ileana Citaristi is also the author of The Making of a Guru, a biography of guru Kelucharan Mohapatra (2001), and Traditional Martial Practices in Odisha (2012). 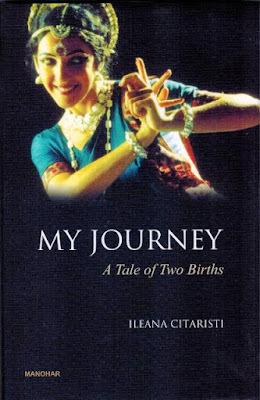 You can watch a video of Ileana Citaristi speaking about A Tale of Two Births here. Published in the Autumn 2015 issue of Pulse magazine. Thank you Isabel! I love this blog of yours and thank you for another wonderful article. Maybe I will get myself a copy of the book. Thanks Vani! I'm sure you'll enjoy the book!